Do you want to win two tickets to see Hamilton at the Wharton Center on May 16th, 2019? 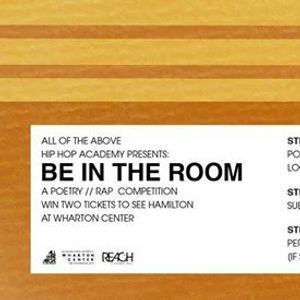 Do you want to participate in an experience that provides a cross-pollination of lyrical expression? Do you want to display your talents on a Wharton Center stage? Then you need to be in the room. 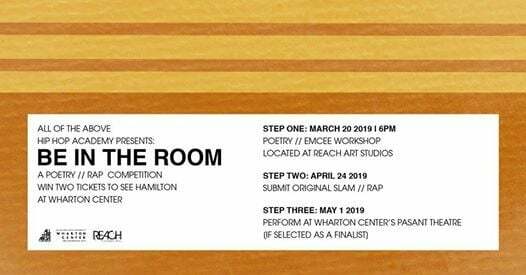 Be in the Room is one part workshop/ one part creative competition/ one part performance experience that is designed to cultivate and energize the local creative scene. The finalist will have the privilege of performing at the Wharton Center's Pasant Theatre and the winner will win two tickets to see Hamilton. 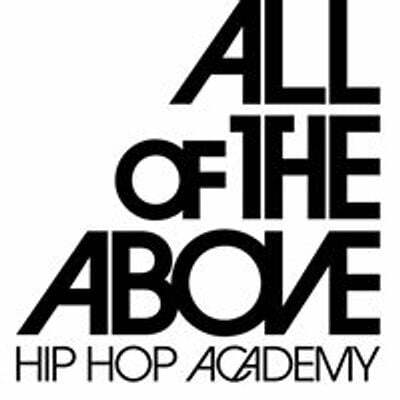 Take the first step and sign-up now to reserve your spot at the workshop. Competition details will be shared with workshop attendees. If you want to win, you have to decide to Be in the Room.